The best price we've ever seen for one of our favorite budget graphics cards. Newegg’s got a fantastic deal on a budget graphics card today. The online retailer has a Gigabyte 4GB AMD Radeon RX 570 for $150Remove non-product link. Newegg’s sale price ends on Sunday. This is the lowest price we’ve seen this card. It was $170 the last time we featured it as a deal a few weeks ago, and it is about $185 on Amazon right now. With an RX 570 you can expect fantastic 1080p gaming performance, but anything beyond that will require more firepower and an increase in price. This model has one DVI-D port, one HDMI 2.0, and three DisplayPort 1.4. 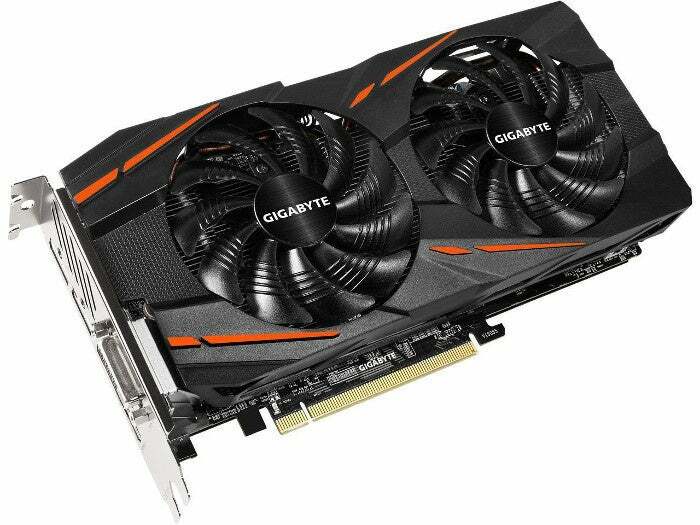 The card also has Gigabyte’s Windforce 2X cooling system that uses three copper composite heatpipes, and 90mm fan blades with “unique” design that is supposed to keep the card running cool even under heavy loads. However, if you're worried about noise, the fans on this card do not run at all times. Instead, they are “semi-passive” and remain off under low demand. Gigabyte also added LED indicators that indicate when the fan is running or not. Overall, this is a nice budget card at a great price that will suit any gamer, as long as you're not looking to upgrade from 1080p gaming to 1440p or 4K.